January 16, 2018 - Like us now! SpaceX’s Falcon Heavy is all set to be launching in coming weeks. 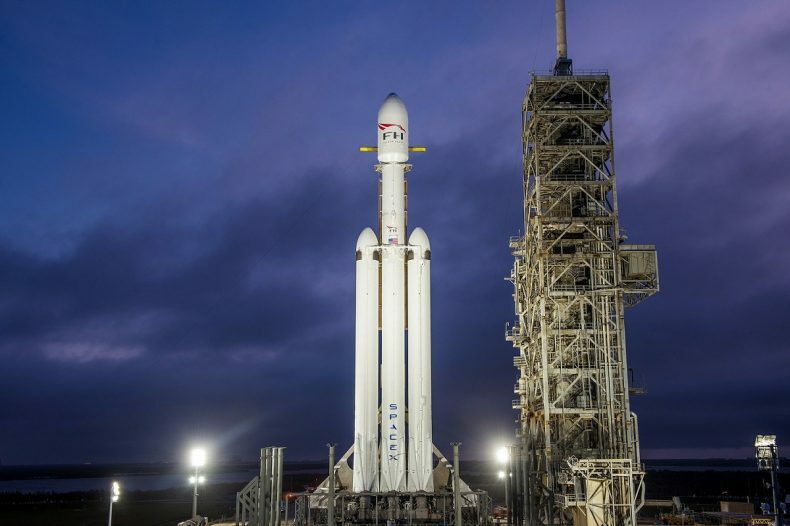 Although, the first demo of the biggest rocket in the world could still be weeks away, yet SpaceX is planning to ignite the Falcon Heavy’s 27 engines on the launch pad 39-A at NASA’s Kennedy Space Center, most probably on Tuesday, next week. Elon Musk, CEO, and Co-founder at SpaceX has earlier revealed his plans of sending his Tesla’s Roadster (sports car) to the Mars, while he also showed several images showing Tesla being prepared to be launch within Falcon Heavy. Falcon Heavy is capable to lift much more than just Tesla’s sports car. Falcon Heavy, which is actually built by combining three Falcon 9 rockets together and attached to a single upper stage, is going to be the most powerful rocket since the Saturn V rocket that took astronauts to the moon on Appolo 11. Falcon Heavy also packs more than twice the thrust of the next largest rocket system currently in use today. Space X earlier announced that the static fire test will be conducted in the current week, however, a company’s official tweet states that the date has been postponed for the next week. Now all eyes are awaiting the test fire of the rocket which will be taking the first payload of the Earth to Mars. The static test fire can be watched easily via Spaceflight Now’s subscription webcam. Meanwhile, some researchers have recently found out that Water is present in abundance at Mars and is easily accessible in the form ice sheets.